Want to create a seaside look in your bathroom, but don’t want to go overboard? Here are some tips on paint colors, surfaces, accessories and fixtures from Linda Castle of Decorated Designs for About.com. Author Alex Hitz is credited with making entertaining fun again. He likes roses, daffodils, and peonies. Hitz would serve a chicken pot pie and decorate with lots of roses at his fantasy dinner. Renny Reynolds is a renowned entertaining, gardening and lifestyle expert. He credits an “extraordinary neighbor” and his parents with helping instill in him a love of propagating plants. What plant would he be? “Probably an eight-foot delphinium,” he said. Jack Staub is considered one of the country’s leading experts on edible plants and vegetable garden design. He talked about Hortulus Farm Garden & Nursery, which he hopes to leave as a public garden, and the importance of horticultural education. Leaking Faucets Costing You Money? On average, 10 gallons per day of your water footprint (or 14 percent of your indoor use) is lost to leaks. Short of installing new water-efficient fixtures, one of the easiest, most effective ways to cut your footprint is by repairing leaky faucets and toilets. Nearly 22 percent of indoor home water use comes from doing laundry. Save water by making sure to adjust the settings on your machine to the proper load size. Dishwashing is a relatively small part of your water footprint—less than 2 percent of indoor use—but there are always ways to conserve. Using a machine is actually more water efficient than hand washing, especially if you run full loads. Amba Products presents a solution to the unpleasant reality of American bathrooms: damp, moldy towels. Italian-designed Amba Towel Warmers combine visual appeal with cutting-edge functionality to offer consumers an aesthetically pleasing, energy efficient and affordable way to dry towels and keep bathrooms warm and mildew free. The product range includes several collections: Jeeves, Quadro, Elory, Solo, Antus, Sirio, Traditional and Vega. All of them can also be used at pools, saunas, spas, boats, kitchens and mudrooms to control excess moisture and maintain warm, dry spaces free of mold and mildew. 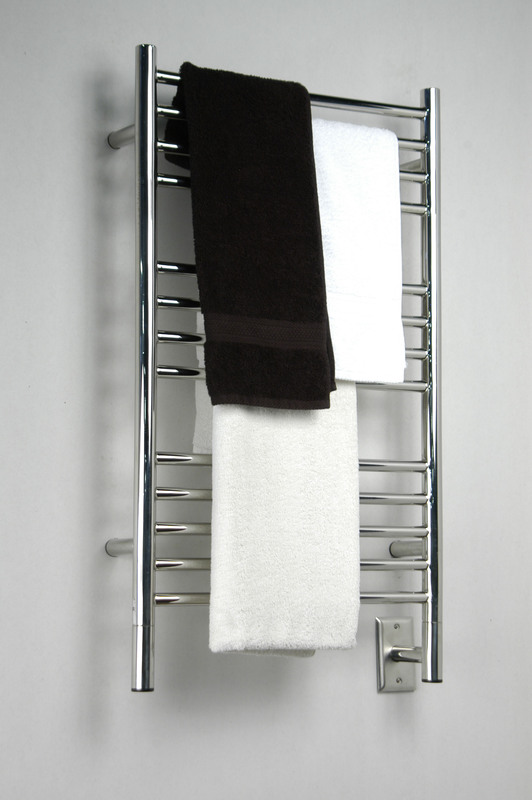 Consumers also use Amba Towel Warmers to dry items of clothing that are too delicate for tumble drying. 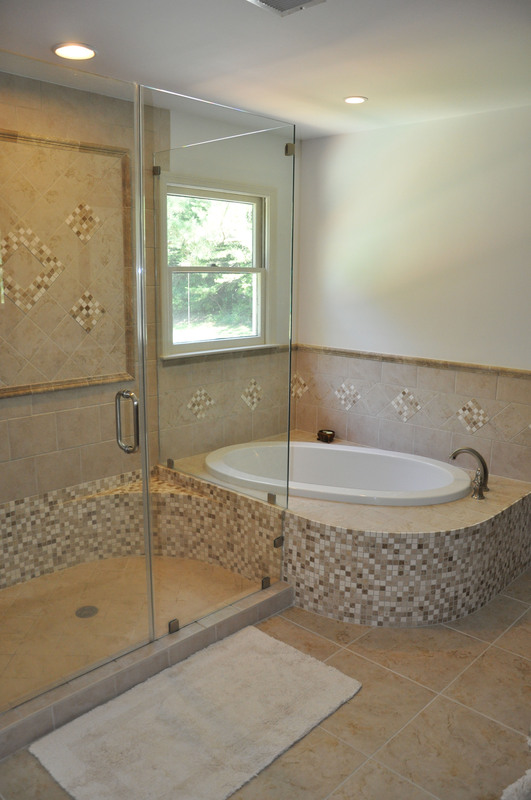 These durable bathroom features are made of 100 percent stainless steel so they can withstand wear and tear. The energy-efficient units have built-in thermostats and cut-out switches to control temperature and prevent overheating, and are designed to run continuously by using the same amount of energy as one or two household light bulbs. Although the low wattage used means that the units can be left on at all times, they are equipped with on/off switches and timers that enable consumers to control running time. The towel warmers are installed as easily as wall lights or other household electrical fixtures and come in a variety of stylish designs. All the models are available in a variety of finishes, including polished and brushed stainless steel and white or oil-rubbed bronze. With prices starting at just a few hundred dollars, Amba Towel Warmers are affordable and offer opportunities for additional savings: by drying towels immediately, they help to reduce laundry loads and save water, detergent and energy. The units comply with international safety and quality standards and come with a manufacturer’s warranty. Ask a MODA Floors & Interiors design consultant for more information about Amba Towel Warmers.